Toronto Film Society presented The Enforcer (1951) on Sunday, January 24, 2016 in a double bill with The Boss as part of the Season 68 Sunday Afternoon Film Buff Series, Programme 4. Production Company: Warner Bros. Producer: Milton Sperling, United States Pictures. Director: Bretaigne Windust. Screenplay: Martin Rackin. Editor: Fred Allen. Cinematographer: Robert Burks. Sound: Dolph Thomas. Art Director: Charles H. Clarke. Set Decoration: William Kuehl. Music: David Buttolph. Cast: Humphrey Bogart (Martin Ferguson), Zero Mostel (Big Babe Lazich), Ted De Corsia (Josseph Rico), Everett Sloane (Albert Mendoza), Roy Roberts (Captain Frank Nelson), Lawrence Tolan (Duke Tiano), King Donovan (Sgt. Whitlow), Robert Steele (Herman), Pat Joiner (Teressa Davis). Don Beddoe (Thomas O’Hara), Tito Vuolo (Tony Vetto), John Kellogg (Vince), Jack Lambert (Zaca), Adelaide Klein (Olga Kirshen), Susan Cabot (Nina Lombardo), Mario Siletti (Louis, the Barber). 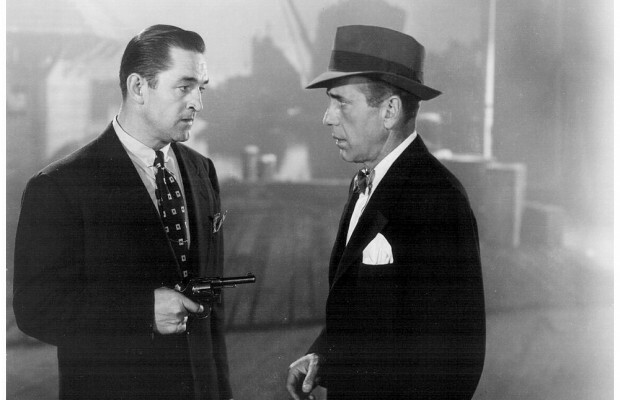 This film marked Humphrey Bogart’s return to the urban crime picture that was his true element. 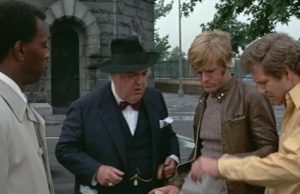 Here, he played a crusading Assistant District Attorney, trying to get the goods on Albert Mendoza (Everett Sloane), head of a murder-for-hire crime Syndicate. A movie, to be successful, needs, first and foremost, a good script and cast. With The Enforcer both elements were present, in spades. Bogart, of course, was in fine form, and he was ably supported by character actor Roy Roberts as a Police Captain. Roberts played a tough, no-nonsense cop: to a crook he’s just collared, “Make a move and I’ll blow your head off!” Later, as Bogart goes after the crooks, he says, “Better take a friend along,” as he hands him a big revolver! On the other side of the law were such veteran heavies as Ted de Corsia and Jack Lambert, who had played colourful and memorable crooks in The Naked City and The Killers, respectively, among many other similar parts. Direction of The Enforcer was originally assigned to Broadway director Bretaigne Windust. 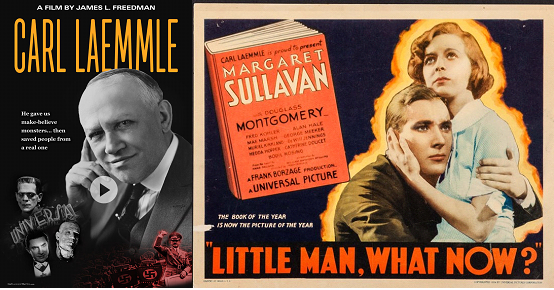 However, veteran action director Raoul Walsh reportedly did much of the work, but declined screen credit. The picture starts with a bang, in the hallowed tradition of the Warner Brothers crime films, with a police paddy wagon racing down a nightime city street escorted by squad cars, sirens screaming. Arriving in a police garage, a frightened man in shirtsleeves is brought out: gangland lieutenant Joe Rico, (de Corsia). The actor came rather late to the movies, in his mid-40s, after years of stage and radio acting. His portrayal of Rico was a classic, tough as nails, except at the beginning, as a terrified potential witness against the boss, Mendoza. In the course of the picture he has some memorable lines: to overweight flukie Zero Mostel, “a blimp like you wouldn’t have a girl friend; get rid of that tent you call a suit.” Nice, diplomatic fellow, our Ted. Most of the picture is told in flashback, with the narrative rapidly gaining speed. It begins when a small time hood, Duke Malloy, turns himself in at a police station, whining, “They made me kill my girl.” Soon, though, Malloy is found hung in his cell, a doubtful suicide. The curiosity of the police is gradually aroused, especially when a mass of bodies is found in a swamp. They piece together an astounding, horrifying scenario: of a vast criminal network that, for a hefty fee, will kill almost anyone. The Enforcer is a fictitious account of the actual “Murder, Inc.” The story is essentially about the efforts of the police and the District Attorney’s Office to “nail” Mendoza and his syndicate. It finally comes down to a desperate race against time, to locate a vital missing witness before the mob does. 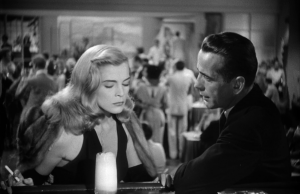 The picture benefits from being a straightforward thriller, concentrating completely on the main story, without any diversions for Bogart’s home life or love life. He is, as Assistant D.A. Martin Ferguson, a competent, dedicated public servant, like Steven McGarrett on TV’s “Hawaii Five-O”. In short, The Enforcer is a fast-paced, totally-absorbing, suspenseful crime film, made as one should be. 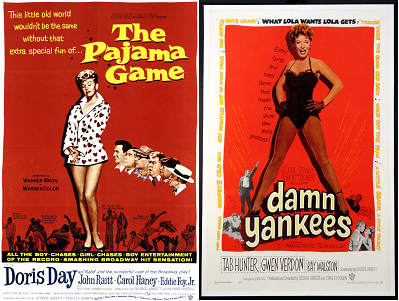 Producer Milton Sperling was fortunate in being able to secure so many excellent actors for his picture. In particular, one must single out the splendid Everett Sloane, late of Citizen Kane and Orson Welles’ Mercury Theater. One of the screen’s great character actors, Sloane was superb as the cold blooded Mendoza, performing a “demonstration” kill that shocked even the hardened Rico. 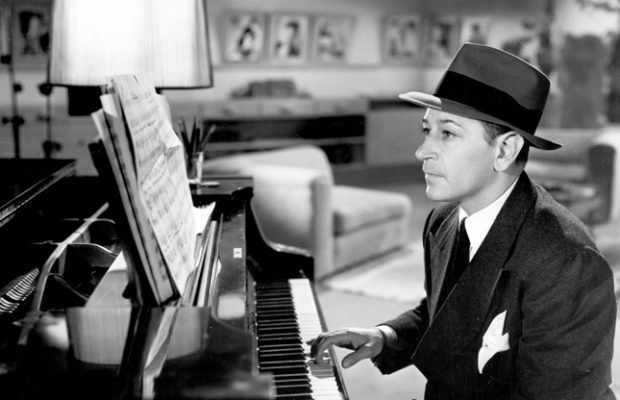 Sperling was an independent producer of the era, with his pictures often released through Warner Brothers. He produced the classic 1947 western Pursued, starring Teresa Wright and Robert Mitchum.